Visitors are able to spend hours browsing hundreds of classic cars from across the spectrum of the golden age. The Show is a great opportunity to meet clubs and have a chat about what they do or just meet like-minded people and build a community of car-loving friends. 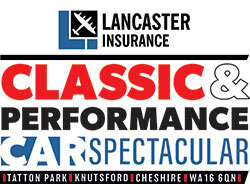 It is free to exhibit a car or club at all of our Tatton Park shows, provided it is dated pre-1990. If a vehicle is post-1990, it may be eligible to appear in our private entries area by special request – get in touch to find out. Every car is automatically entered into competitions to win a variety of awards across the weekend, judged by a panel of experts.